Atlantic City’s Borgata Hotel Casino & Spa is continuing it efforts to force pro gambler Phil Ivey and a co-defendant to post a $10.13 million appellate (supersedeas) bond before Ivey’s filed appeal of the initial judgment in the case moves further into its appellate stage. In the latest legal maneuver, counsel for the Borgata filed a motion to docket the judgment from the initial New Jersey-based case into the Nevada legal system. The motion, which is likely to be approved by the presiding judge in the initial New Jersey case, Noel L. Hillman, is a mandatory precursor to any attempts by the Borgata to attach Ivey’s assets in Nevada. Ivey and co-defendant “Kelly” Cheung Yin Sun are residents of Nevada. In any event, according to the Borgata’s latest filing, Ivey and Sun still haven’t complied by posting the required bond, and a 14-day window before a formal complaint about failure to post that bond also has now expired. The Borgata’s response is a continuation of the casino’s efforts to bring the long-disputed “win” by Ivey, or an equivalent valuation in other assets, within the legal reach of the New Jersey courts. The motion, if approved, would also provide the groundwork for the Borgata to launch some future asset-seizure proceedings against Ivey (and Sun) in Nevada. As the latest motion asserts, “The Federal Rules of Civil Procedure permit a judgment creditor to begin enforcing a judgment 14 days after entry. It is well understood that, absent posting a supersedeas bond, [the applicable rule] does not prevent judgment creditors from executing on a judgment while an appeal is pending. The Borgata filed four exhibits of supporting documentation to the motion showing their efforts to identify assets owned by Ivey in both New Jersey and Nevada. The casino found nothing in New Jersey… literally. They either had previous records of or uncovered a Wells Fargo bank account of Ivey’s that had been opened in New Jersey, but when they executed a writ to learn more, they were notified by Wells Fargo that the Ivey account was empty of funds. 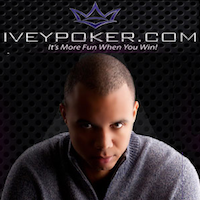 The casino was more successful in identifying a few of Ivey’s assets in Nevada. Those included a golf-course condominium in Summerlin purchased a decade ago for about $279,000. The motion and exhibits also identified four corporate ventures in Nevada where Ivey has or had full or part ownership; one of the entities appears to have been shut down in 2014. Additionally, the Borgata submitted evidence that Ivey, whose overall worth has been estimated at $100 million, owns a luxury seaside villa in the Mexican resort destination of Cabo San Lucas.